This lightweight and versatile 12" sealer can be used anywhere. 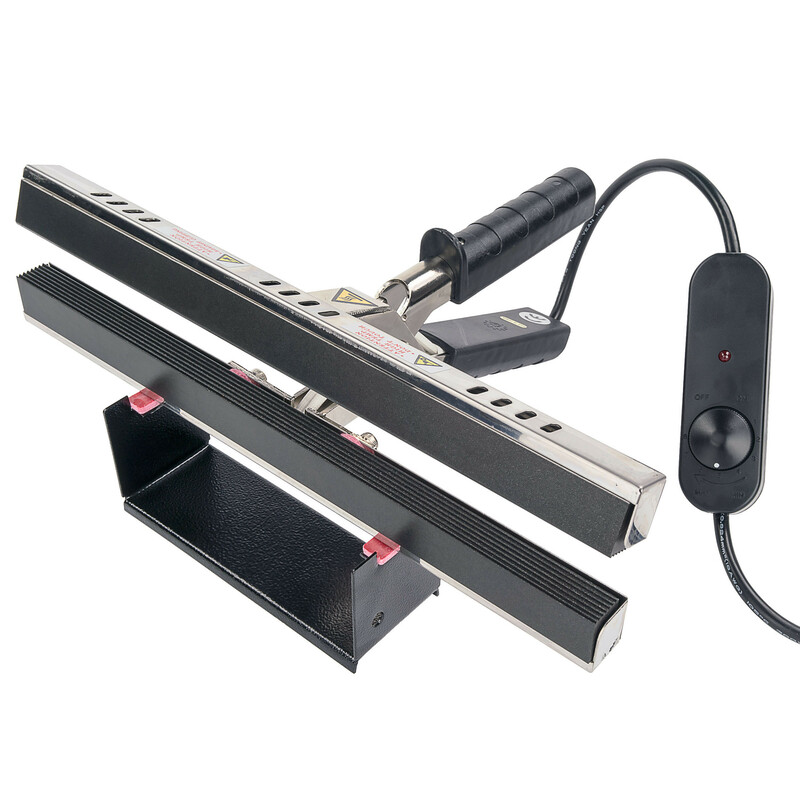 This is Model KF-300CS-110V and is a direct heat sealer with a Teflon coated serrated jaw. Ideal for sealing Cellophane, Coated aluminum foil, Kraft paper and other thick materials such as thick poly. This sealer is the best way to seal Mylar bags used in long term food storage. The sealer makes a perfect 12" long, strong seal on poly bags and other thermoplastic material. It is easy to operate: simply place the bag or plastic case between the sealing bars, press down and release. Seal bar width is 0.59"
Copyright © 2019 OxygenAbsorbers.com. All Rights Reserved.